Hundreds of bus workers in Devon and Cornwall have voted for industrial action in a dispute over pay. The Rail Maritime and Transport (RMT) union said members were angry at First Group's failure to come up with a "serious pay offer". 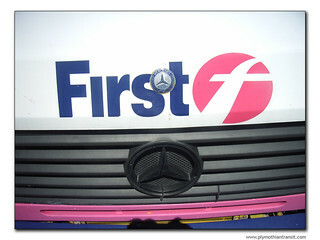 First employs about 500 people in Devon and Cornwall. Of the 300 who took part in the RMT ballot, 85% voted for strike action. The company said it would not comment on the ballot. The RMT said 92% of members had voted for for action short of a strike and general secretary Bob Crow described it as a "massive mandate for action". Mr Crow said First's pay offer was "self-funding" - meaning it would have no cost impact on the company and ring-fences their profits. He said the company had already removed the final salary section of the pension scheme and was now trying to "bind up what's on the table with a whole load of strings". "Today's massive mandate for action by RMT members on First Devon and Cornwall buses reflects their anger at the failure to come up with a serious pay offer," Mr Crow said. "Bus services and bus workers in the South West are under a series of attacks as the companies attempt to ramp up and protect profits at the expense of their staff and the travelling public. "Our ballot of groups of staff on First Devon and Cornwall buses draws a line in the sand as we fight to protect standards of living. He said the union would not be rushing in to strike action, but would seek a negotiated settlement. "We don't want to take action for the sake of it; we actually want the company to get a negotiated agreement without strike action." Lets just hope it all gets sorted without any damaging industrial action. No lets hope it does inflict serious lasting long term damage which results in First selling up/closing down and pulling out of Devon and Cornwall completely. Serious stuff. Massive vote to take action, so I'm right behind them. Engineering the strike is probably what they are doing,we all know first are desperate to off load the buses in plymouth. TRANSPORT UNION RMT today confirmed two strike dates and further action short of a strike following a massive mandate from members in a ballot of groups of staff on First Devon and Cornwall buses in a dispute over pay. 23:59 hours on Friday 9th November 2012. Relevant members are not to work any unscheduled overtime or rest days between 00:01 hours on Sunday 11th November and 23:59 hours on Saturday 17th November 2012. The action follows the rejection of this year's long overdue pay offer. The company proposal is self-funding – meaning it would have no cost impact on the company and ring-fences their profits. It includes the loss of paid walking time, the removal of time to do a visual "walk round" check when taking a bus over mid shift and the dilution of the sick pay benefits. This follows on from the removal of the final salary section of the pension scheme, already implemented despite fierce union objections. In this weeks ballot result RMT members voted by almost 85% for strike action and by over 90% for action short of a strike. “This weeks massive mandate for action by RMT members on First Devon and Cornwall buses reflects their anger at the failure to come up with a serious pay offer and the attempt to bind up what is on the table with a whole load of strings to make it self-financing at the expense of the workforce. "The fact that we have been forced to ballot and put this action on is solely down to the failure of the management side to understand the anger of their workforce. The company must take this situation seriously and get round the table with RMT to negotiate a settlement and the sooner those talks commence the better. I'm assuming that the staff have noticed that FD&C hasn't made a profit in years and has historically been one of the poorest performing operations in First Group. Expecting a loss making operation to use some of its non-existent profits to improve a pay deal just because the parent company does make a profit seems short-sighted, particularly whilst it is in the process of disposing of poorly performing operations, has already closed down nearby operations due to loss making and is reportedly not exactly flush with spare cash (its stock exchange issues result from the assumption that First will have to do a rights issue to raise cash very soon following the WCML debacle) is incredibly short sighted. FD&C certainly isn't financially strong enough or secure enough in its ownership for aggressive industrial action to not have very detrimental results for the staff involved at the moment. 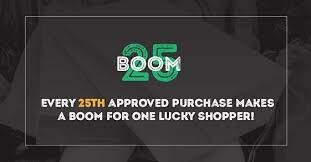 Of course the staff know the financial situation with the company. Don't be so patronising. Given that over half the workforce have voted for action there is clearly an issue. That the company is a chronic loss maker lies fairly and squarely with with incompetent management given that 10 years ago it was making a small profit. To be fair consistent late running and rude drivers are not just down to management they are down to congestion but also drivers. I agree there seems to be a lack of management control and organisation but the drivers are certainly not blameless for the lack of profit. I am very much a union man and believe that no union or its members call strike action unless absolutely necessary but on this occasion I feel this could be very damaging to First Devon and Cornwall operations future... and counterproductive for staff... Staff need to be aware that this could push First over the edge and lead to their withdrawal from Devon and Cornwall and with no buyers seemingly lined up could put all their staff out of work... Lets hope they can come to a solution quickly before this happens!!!! A highly dangerous game to play as Anon 15:04 says. I sympathise deeply with the staff but at the end of the day if the business is on a knife-edge, a strike could be the final straw whatever the underlying issues are. Citybus has already gone into Ivybridge, it's not going to take much more for them to look at other routes, such as Tavistock or Torquay and TBH I'd be surprised if Stagecoach don't take another look at Torbay to Plymouth. It's interesting that Citybus chose 45 for the Ivybridge route given that Stagecoach had used X45 for their previous Paignton-Ivybridge-Plymouth service, so could we see the 45 being extended to Torbay in time? If Stagecoach look at the route again perhaps they'll need to look historically and call it the 128 or X28? But back to the First position. As hard as it is, times are tough and if the business is to survive, everyone at the company needs to work as one and share to pain to protect the business before it's too late. With reference to Steve's comment above, a hell of a lot has changed in the last ten years: the economy, OAP concessions, BSOG and Citybus's change of ownership (and the current flexing of its muscles) has seen to that.... as I say I sympathise with the staff, really I do, especially as First seems to the opening the 'welcome to Plymouth' door for its competitors wider and wider. I don't know what the answer is but it sure isn't going on strike however angry the staff are.